Strength training + intervals = success! Quite often it happens that those who have been training for a long time, despite the advancement in training, proper nutrition and technical knowledge, do not achieve satisfactory results. It is enough to pay attention to athletes practicing sprints or long and high jumps. They are usually better built than those who specialize in long distance runs. Just compare the profiles of Mo Farah and Usain Bolt. There is a difference, right? According to many studies, interval training is much better than long-term cardio sessions. Interval training is much shorter than cardio, the work is not strictly burning calories at the time of training, and driving the metabolism up to 24 hours after the end of training. Cardio training, on the other hand, generates a calorie deficit at the moment and it is appropriate, but too long cardio causes stress of the body, and hence – increases cortisol levels, which should be avoided. From my observations and experiences, it seems that if we choose cardio, it is best to choose about 30 minutes of activity in the range of 50-70% of the maximum heart rate or 40-50% of the maximum heart rate, eg an hour walk, cycling etc. Meticulously performed interval training brings visible effects in the fight against unnecessary kilograms while maintaining as much muscle mass as possible. It should also be remembered that interval training is a big burden for the nervous system and we should manage these training units sensibly. Research has confirmed that interval training gives more results than a traditional long session of cardio training. Interval training is much shorter compared to classic cardio. What’s more, it speeds up the metabolism up to 24 hours after its completion. In the case of cardio training, the maintenance of accelerated metabolism is shorter, it begins to slow down after the exercises have been completed. It should be remembered that the speed at which fat tissue burns depends not only on how many calories you burn during training, but also on how much after it. It has been proven that interval training performed every other day for two weeks speeds up metabolism by as much as 36%! Short-term, intensive interval training brings visible effects in the fight against unnecessary fat tissue while maintaining our muscle mass. In a nutshell, interval training is characterized by alternating periods of maximum work and rest. This cycle is repeated the assumed number of times. 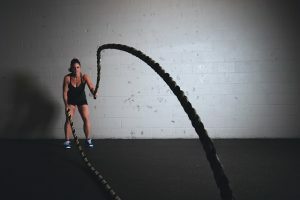 Interval training can be performed in various ways, you can use various forms of activity, such as sprint, burpees, boxing, running in place, work with barbells, kettles, dumbbells. There are many options. A good determinant of correctly performed interval training is whether we are short of breath after the work phase. If it is different, put in more work! Of course, this is partly a joke, because during the training should not be short of breath. If we feel ill or dizzy, let’s rest for a moment. Personally, I think that interval training should contain between 5-10 cycles. The duration, as mentioned above, is however an individual matter that depends on the level of our training. Interval training is characterized by short periods of maximum effort, followed by time for active rest. Such cycles are repeated a certain number of times. The course can be used as an example of interval training. Assuming we have access to the treadmill at the gym, we determine the speed at a high level. We continue the race for one minute, then we reduce the speed to such a level that our heart rate decreases. Trotting for 3 minutes, we get a ratio of 13. It is important to give almost everything during the intensive effort phase and thus achieve a high heart rate. Knowing your maximum heart rate is equally important. To calculate the maximum heart rate (HRmax), you must subtract your age from 220. Of course, the result does not fully reflect our proper heart rate. Why? Because every organism is different and everyone has a different capacity. To measure your heart rate, it is best to use a heart rate monitor. In a very large generalization, this is all about interval training. For a person who has never done it, it may seem easy. However, I am warning you that it is not. The reward for the effort is less fat tissue and improved aerobic capacity. Interval training can be practiced on virtually any equipment. The only limit is our imagination. The stationary bicycle is ideally suited because it is easy to adjust the load on it. During each cycle of interval training you should be out of breath. If it is not so and you can talk freely, then you do not work too hard. You should also remember to listen to your body. If we feel bad and we have no energy, let’s not force ourselves. One interval cycle is high work and low intensity work. Usually we repeat them in numbers from 3 to even 10 cycles. These are of course values ? ?that everyone can change depending on their training. Once we have achieved the right performance, we can manipulate time and shorten the sessions easier in favor of more difficult sessions, until we reach the ratio of 11. Ready training plans to burn body fat, which can be found on the Internet, often assume several series of, for example, 20 repetitions, or training with a very large volume. If we want to start an adventure with physical activity, build fitness, build strength, it may be effective, but this may not be enough, because a sedentary lifestyle, too much calorie supply, and slower metabolism disturb the process of reducing body fat. Such plans may not contain adequate intensity and volume. If we really want to fight fat, the work should be difficult. We must make an effort, there is nothing for free. It is worth thinking about including in our plan of interval training. It is worth considering the implementation of the so-called circuits. Circuits consist of performing several consecutive exercises without interruption. It’s only after the last station we rest. Then we have a huge job to do, which provides incredible intensity and high pulse. In this way, we optimally fuel the metabolism. Very often you can find on the internet ready-made training plans that assume doing 4 series of 15 repetitions of each exercise. If we want to maintain fitness, strength endurance, then it should be considered a proper training plan. If we want to fight excess fat, we need to boost the intensity of our exercises. Only in this way can we burn a large number of calories. In this case, peripheral training, metabolic complexes, where we move from station to station or from exercise to exercise, we do not have time to break. We force our body to work continuously, which involves the involvement of a large number of muscles, and as a result, burning a large number of calories. This training causes that the entire body works in one session, and as is well known, it is extremely important in the fight against excessive fat. High intensity resistance training – what is it? Let’s start with what training intensity is. The training intensity consists of several elements such as movement speed, number of repetitions, number of series, number of exercises and time of break. The sooner we implement our plan, the greater the intensity. According to research, training with a greater weight, and with a smaller number of repetitions will be more effective in the context of fuel metabolism and fat burning than with less weight training, and with more repetitions, in the range of 15-20 repetitions. The work carried out in this way will allow for optimal acceleration of metabolism, which will work intensively for a long time. And here we come to some non-sports factors. A very important element in such training is the psyche, overcoming the barriers and believing that we are able to do it. The statement that success is born in pain, fits here perfectly. If everyone would let go when they got tired a little, there would be no new records. People who overcome this barrier and say “I can do it” – they win the most. The selection of exercises to carry out such a scheme is very simple. We choose multi-joint exercises that require the greatest amount of work and commitment of the largest number of muscles. 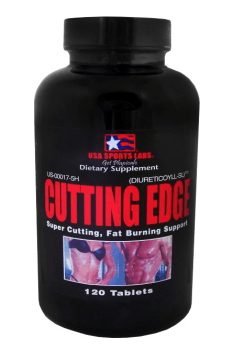 This will allow you to work intensely, unravel metabolism, and maintain muscle mass, because the body will get information that the muscles it needs and will not seek to reduce their volume. Resistance training with very high intensity is, in my opinion, the optimal form of the interval. Time passes very quickly, the workload is huge and the results are satisfactory. Higher loads will allow you to maintain muscle strength and volume, but the range of repetitions should not be less than 5 here. A perfect example can be crossfit players based on a huge intensity of training. Research has shown that high-resistance resistance training (i.e., raising a greater weight between 6-8 repetitions) gives much more visible results than 15 reps with a lower weight. This training will allow you to keep accelerated metabolism for a longer time than in the case of less weight training, but with more repetitions. In order to boost our metabolism, we must first overcome our own weaknesses. Among them are the limits of their own physical capabilities and mentality. Only in this way will you be able to prepare for a solid, hard effort. After selecting the exercises, they should be grouped and then the station circuit to be performed should be developed. The advantage of this training is that the circuit is so intense that it can be finished in 30 minutes. High intensity resistance training is a very demanding way of training. If you are a beginner – do not rush. Gradually increase the weight and number of exercises. Big loads will keep your muscle density and quality, and a peripheral form that requires you to work hard will speed up your heart rate. In this way, you will enter a much higher heart rate than during classic strength training. Supplementing strength training with resistance training with high intensity or intervals is ideal in the context of body shaping. However, I would not completely cross out cardio training. If you want to go for a walk, bike, rollerblades or any other effort in the form of cardio training, it is most desirable. Physical activity is to give pleasure, and the extra will not hurt. You simply create a larger calorie deficit that you can supplement with a delicious meal. I know from experience that in some phases of reduction there is simply no more power for the interval, then it is better to do cardio training. Remember, each of us is different, life is not a scheme – it is worth adjusting the plans to your individual needs. According to the title of the article, interval training combined with high intensity resistance training are the key to success. It’s worth interlacing these workouts. Spend one day for weight training and the other for a running interval. This will keep muscle mass and at the same time burn unnecessary fat. Also, do not forget about the time for regeneration. After all, these are very demanding trainings. It is worth stressing, however, that the effort put into it will not go to waste. What’s more, it will be repeated many times!